Maria’s love for fashion was born early in her school years when she would spend her classroom time sketching outfits instead of taking notes; time after school would be spent watching fashion shows instead of concentrating on homework. Her passion for the fashion industry took her across the country to Toronto where she received her Diploma as a fashion designer at George Brown College. During her last year at George Brown she was chosen to present her final collection as part of the top 20 in her graduating class. She was also in the top ten in the Triumph Inspiration Awards disputed in Toronto. 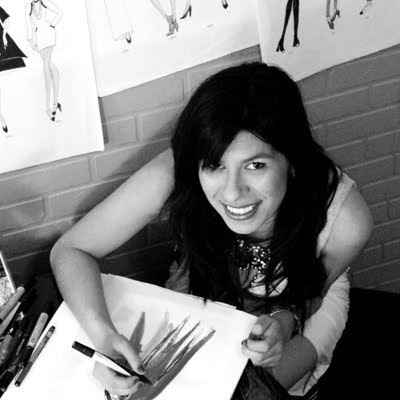 The Colombian born likes to create classic pieces with a twist; she is often inspired by the work of the first couturiers such as Charles Worth, and Coco Chanel. Architecture is also of great inspiration.